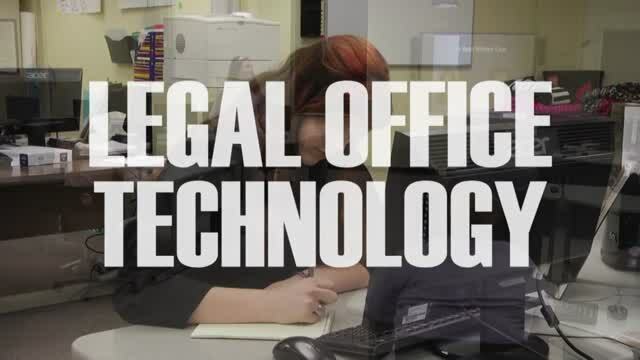 Prepare for a rewarding career in a variety of legal and business environments with the skills that will you gain in the Legal Office Technology program. Upon successful completion of this two-year program, students will be prepared to further their education and progress into careers in legal, medical and corporate office environments. Students will be prepared for entry-level positions in legal and medical environments such as law-related offices and facilities, and offices in hospitals and medical facilities. Students will have the opportunity to be certified in Cardio-Pulmonary Resuscitation and First Aid, including AED and HIPAA certification. Students participate in skills competitions and leadership opportunities with Business Professionals of America. Students have the opportunity to earn college credit and a $3,000 Tech Prep Scholarship to Sinclair Community College. Students will participate in legal/medical office job shadowing and employment opportunities with various area businesses. Seniors are eligible for early job placement in the second half of the school year. The criteria for placement includes instructor recommendation, grade point average and attendance. Students in this program participate in Business Professionals of America, a national Career-Technical Student Organization serving students in Business and Technology Career Technical programs, dedicated to the advancement of leadership, citizenship, academic, and technological skills. All students also have the opportunity to participate in the Tech Prep Showcase through the Miami Valley Tech Prep Consortium. Contact instructor Pam Plunkett at 513-932-5677 ext. 5256 or email pam.plunkett@mywccc.org.